When you’re a new parent, purchasing the safest crib or cradle for your baby has to be a top priority. After all, your baby will spend up to 16 hours a day in their crib, so you will want to know that it is both safe and highly functional. However, knowing how to find the best baby cribs or crib mattress can be difficult, and it can be hard to know where to turn for advice. That’s where we come in. Our experts have put together a helpful guide to recommend the best way to go about purchasing good cribs. We’ve checked out all the most popular cribs on the market, and are ready to pass on all our knowledge and expertise to you! Whether you are looking for something traditional or one of the more modern convertible cribs on the market, our tips and advice will help you make the very best choice for the newest addition to your family. So sit back, relax and read on. Our helpful hints will take the mystery out of crib purchasing, putting you firmly in control. Short on time? Then be sure to check out the DaVinci Kalani 4-in-1 Convertible Crib. This model gives great value for money as it grows with your child and is sturdy, safe and easy to assemble. That’s why we’ve selected it as our number 1 baby crib model. 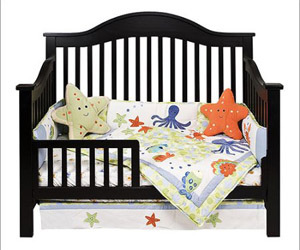 Here at Sleep Reports, we are experts in what makes the perfect crib. That’s why we have researched and compiled a list of 10 baby cribs. Here are the latest reviews of the 10 best cribs in 2019. DaVinci Kalani 4-in-1 Convertible Crib is one of the best-selling cribs available on Amazon, and for good reason. What makes this crib one of the best is its ability to convert from infant to toddler and then into a full-size bed. This allows it to grow alongside your child. It offers safety, style, support and quality. 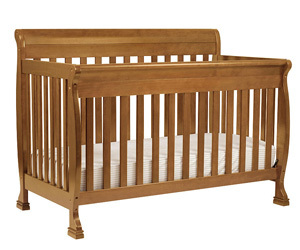 This crib is sturdy, safe and comfortable and has no hazardous moving parts. The spaces between the bars are perfectly sized, reducing the chances of accidents. The crib also has a non-toxic finish and made from natural and organic wool. Short on time or DIY skills? No problem! This is probably the easiest and quickest piece of furniture to assemble. If you are used to 3 mattress levels, this crib has four making it a good choice for parents of any height. You can complete the collection with the classic Kalani 3-Drawer Changer Dresser, which is a lovely and practical addition to any nursery. It is a nice looking crib that is easy to assemble. It is easy to move the mattress up and down. It is sturdy and safe for kids. It comes with toddler rails. You will have a crib, toddler, day and full sized bed. This crib comes with a toddler rail, but it does not come with rails to convert it into a full sized bed. It does not fit in doorways easily and it is also very heavy. Delta Children Canton 4-in-1 Convertible Crib is a great sturdy crib that meets all the safety standards set by the CPSC & ASTM. This is a crib that comes in only 3 colors, but it is highly stable and comes in a stylish sleigh shape adored by fashion-forward parents. It is simply gorgeous to look at and combines an element of style, functionality, and quality that is unmatched. Furthermore, you will have a toddler bed, daybed, and full-sized bed in one purchase which saves a lot of money. When it comes to mattress positions, this crib has three. Your little one is assured of utmost safety with the strong and sturdy wood construction with a non-drop side design.It is easy to convert the crib to a toddler bed and it comes with a guardrail and for the full bed you have the headboard and the footboard. It is easy to assemble. 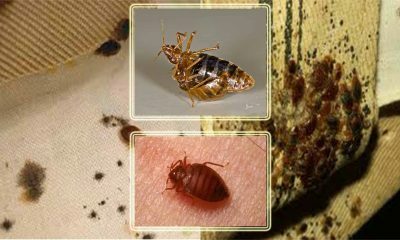 You will not have to worry about your little one’s health since it has been tested for lead and other toxic elements.The only negative aspect of this crib is that it is said to splinter easily, which is a particular concern for parents of hyper toddlers. Well, the only bad side about this crib is that it is said to fall apart and splintereasily, which is a particular concern for hyper toddlers. Jenny Lind 3-in-1 is a JPMA certified crib available on Amazon. 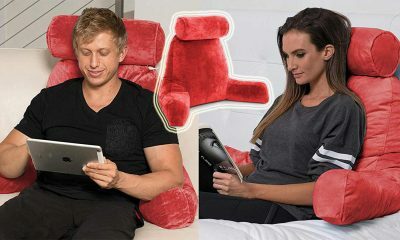 It is made of solid New Zealand Pine wood and has four adjustable levels to offer the best safety and comfort. Jenny Lind celebrates traditional beauty. It is one of the cribs that DaVinci produced and it offers timeless artistry that has come to be loved by parents looking for something classic. It is a crib that you will treasure in your nursery for years. It has a stunning and elegant look that is at the same time safe. Safety is what it offers best. It has fixed sides that provide stability, guard rails for extra support. The non-toxic finish will not disappoint you and you can rest assured that your little one isn’t breathing in and hazardous chemicals. It has got castors that allow you to move it around the house. Even better, the range of 7 colors offer something to suit everyone’s tastes. The crib will as well grow with your baby as you can convert it to a toddler bed or a day bed. The only negative aspect to this crib is that it does not convert to a full-sized bed. Most customers have also complained about the wheels which they feel are not safe. Some users have also reported breaks in the railings, causing the bottom to fall out from the underside of the crib. This is a crafted crib. It has got castors that allow you to move it around the house. If you love colors,this crib comes in 7 different colors from which you can choose. The crib will as well grow with your baby as you can convert it to a toddler bed or a day bed. The only thing about this crib is that it does not convert to a full sized bed. Most customers have also complained about the wheels which they feel are not safe and the railing breaks easily causing the bottom to fall out from the underside at times. You have the option of completing the collection with a Jenny Lind 3-Drawer Changer Dresser. It is light and very easy to move when you are cleaning under the crib. It offers a crib, day bed and toddler bed. 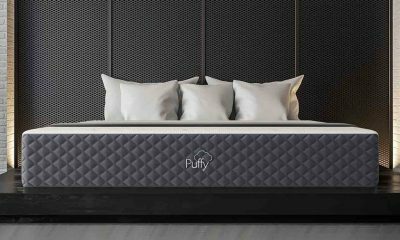 It is considered unsafe by most customers since it has a castors and the metal spring frame has moveable arms that cause the mattress to tilt. DaVinci Jayden 4-in-1 Crib is solidly crafted from New Zealand pine wood, making a sturdy and strong crib that you will use for a lifetime. Not only that, but the convertible design means you have a crib, toddler bed, day bed and a full-sized bed all in one fantastic product. This is a crib that combines traditional appeal and timeless clean lines. 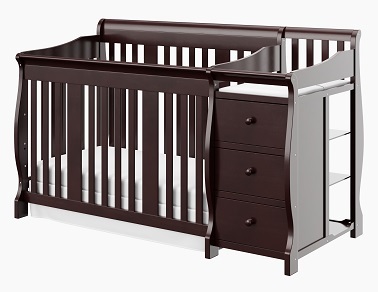 The elegantly curved back and simple solid slats make it a crib that celebrates generations of style. If you are looking for a crib that does not have moving parts, this is the crib to buy. 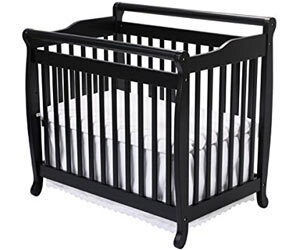 It is one of the best static cribs on the market. It is very easy to assemble and convert and for the toddler bed, it comes with the rails included. For the full-sized bed, you have to buy the rails separately. 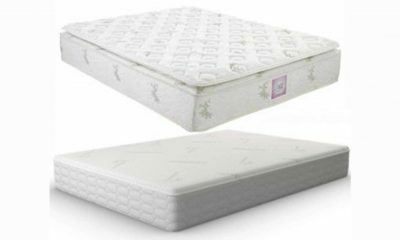 The 4 level mattress supports make it a convenient crib to work with. The non-toxic finish makes a healthy crib for your little one. It is sturdy, good construction and has a nice finish. The space underneath is too little for it to even fit a shoe box. The paint on the rails chips off easily, especially when your baby is teething. If you are looking for a safe crib that is beautiful, good quality and complete with toddler rail, this is the crib you are looking for. This is a crib with a mid-century modern appeal. It has a simple charm with stylish rounded spindles and an open, radiant feel. You will be able to keep an eye on your baby since the crib has all-spindle sides. Babyletto Hudson convertible crib is made of solid New Zealand pine wood with a 4-position mattress support to maximize comfort and safety for your infant or new-born baby. 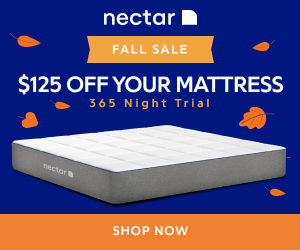 It converts easily into a toddler bed and day bed with the conversion kit included, making it a smart choice for those who want their purchase to last a long time. It is easy to assemble with a toddler rail included. It is made from good material that is solid, beautiful and sleek. It is easily convertible with a great style and color. You have to unscrew the mattress bottom base to a lower it on later. It has only one orientation for a toddler bed. This is a personal favorite of our more style-conscious experts. It is great for a smaller nursery. This crib is not as fancy, but it will be a future bed and it is a product that will last for a very long time. 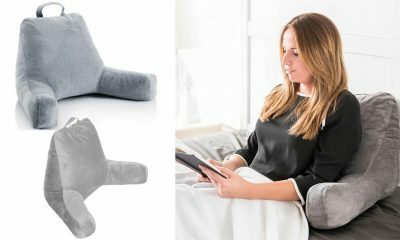 In addition it is non-toxic, converts to a toddler bed and day bed. However, the crib is a little less sturdy that some of the other cribs. For those who want to be sustainable in terms of the environment, this crib is made of New Zealand pine grown in sustainable forests. The finish is non-toxic which makes the crib safe and reliable. It has a sleek, simple, contemporary and beautiful design. It compliments easily with designed beddings. This crib is on the bigger side in terms of space and is also convertible. It is highly functional with 3 heights for the mattress. The wood is so soft that it dents easily when something bangs against the crib. The paint also peels very easily. Are you looking for a crib fit for a little prince or princess? 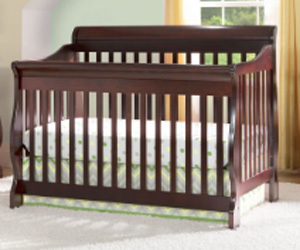 This crib has a beautiful solid construction that makes a regal centerpiece for your nursery. 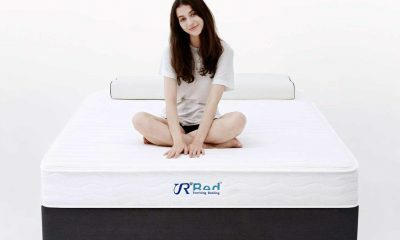 It has three adjustable positions for the mattress. The crib and changer are stationary. 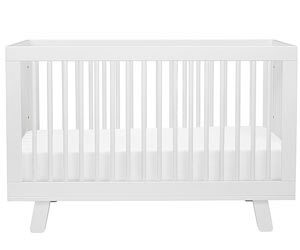 If you are looking for a crib that is made of solid wood and wood products alongside a non-toxic and durable finish, then this is a great option for you! When you purchase this crib, you are assured of saving money since it converts to a full size bed, toddler bed and a day bed. The changer has a waterproof vinyl change pad. You will need no kit to convert it into a toddler bed, but for the full-size bed, you will need a bed frame. It is simple and sturdy. It is beautiful and not too difficult to put together. The changing table is very useful and it offers more storage space. It has well written instructions for assembly. It has a strong smell when it is purchased that will require airing. You will need to buy additional parts to convert it toddler bed. If you are looking for a small crib that will come with 2 adjustable mattress positions, this is the crib to go for. This crib is one of the smallest in the market making it perfect for small spaces. If you have twins, you could purchase two of them and reasonably expect to fit them comfortably in an average-sized nursery. 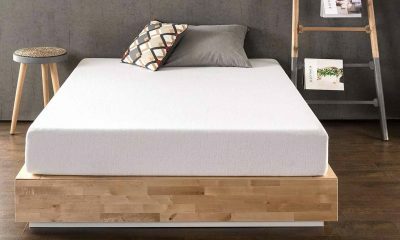 What sets this mattress apart is the three adjustable mattress levels. Most mini-cribs have just two. The highest level has the baby at an eye level and you will not need a bassinet. Although it is a mini crib, it can carry a weight of up to 50 lbs. It is low profile for easy reach. It has a 1” waterproof changing pad included. It converts to a twin bed. Most parents wish the crib had wheels and was foldable. It does not convert to a toddler bed and the only option is to convert it to a twin size bed. The fact that this crib converts 4 ways makes it a long-term addition to your home. It is also a beautiful crib that you assemble easily. You can convert it to a toddler bed and no guardrails are required for the conversion. It can then be transformed into a day bed and a full sized bed with a headboard. However, remember that the bed frame and mattress are not included. It fits perfectly in small spaces and it is easy to find a wide variety of bedding to fit. For budget-conscious buyers who don’t want to compromise on style, this is a great choice as it combines a pleasing aesthetic with an appealing price-tag. This crib is very light. You have an easy task lowering the mattress in the crib. It does not come with a toddler guard rail. It is a bit too heavy to move. Yes, you heard us right! 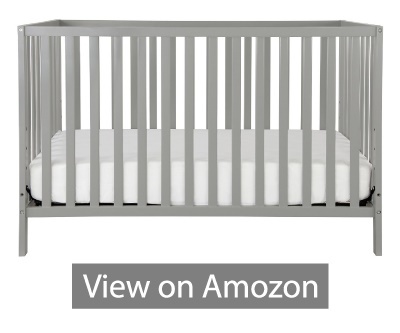 In fact, the Union 2-in-1 Convertible Crib is one of the top rated affordable cribs available on Amazon. 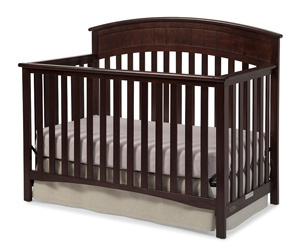 This is a crib that is stylish with a durable chic and classic style. The simple design with clean lines mean it will fit perfectly into most nursery designs. 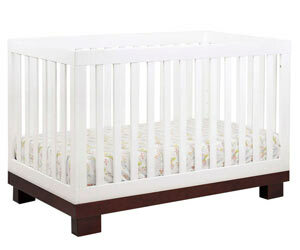 The frame of this crib is sturdy and strong, offering modern style at a low price. It fits a standard size mattress that is sold separately. 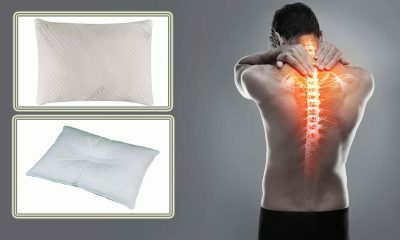 The mattress positions can be adjusted to four positions making it convenient for you and the baby. The finish is non-toxic, so you can rest assured that your baby’s sleeping environment is healthy and chemical-free. It takes very few minutes to assemble. You should be careful when assembling to avoid embedding scratches. There are so many different types of modern cribs designed to meet the crucial requirements of safety and comfort as well as provide additional benefits such as versatility. Depending on your& needs, budget& and style, one of the following types of child’s bed may be what you are looking for. These are the most basic of cribs, and are what most of us slept in as children. A standard crib measures 30 inches by 54 inches and is recommended for use with babies 2 years old or younger only. Therefore, these cribs, due to their dimensions and lack of versatility, can only be used for a short time before you have to buy something bigger. Also, the design styles are pretty basic, so will probably not suit the taste of design-savvy shoppers. If you want a versatile crib that will grow along with your baby, a convertible crib is a great option. These models can transform into several other forms depending on the design. For example, a 4-in-1 crib can be converted into a standard crib, a toddler bed, a day bed and a single or twin size bed. There is even a 5-in-1 crib that can convert into various other styles including a full-sized bed. If this all sounds a bit complicated, there is also a 2-in-1 crib. So, if your baby starts out in the usual standard crib, you can convert it into a toddler bed when he outgrows the crib. 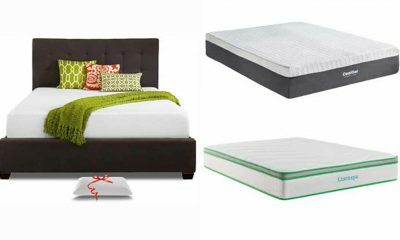 This versatility is one of the best things about convertible beds. Not only is it convenient (no need to shop for a new bed), it saves money. However, a disadvantage of convertible cribs is the added cost. A safe convertible crib usually retails for well over $200, although you can find slightly cheaper ones if you shop around. It also takes quite some time and effort to convert from one form to another. Round baby cribs are a stylish option preferred by many parents with an eye for interior fashions. What to make a bit of a statement with your baby’s crib? Then this is the option for you. The round shape of the crib gives it a highly unique appearance and many come with canopies. When placed in the center of the room, a round crib gives the baby a full 360 degrees view. Unfortunately, the crib is often smaller than standard rectangular baby cribs. This means that your baby may not enjoy it for long. This translates into extra costs when the time comes to purchase a new bed. Also, round cribs are often more expensive than other types of cribs and you might also have trouble finding the right mattress and sheets to fit. For families that travel often, having a lightweight baby crib is essential. Portable cribs feature light materials and foldable designs. Most come with a carrying case to make moving your baby’s bed a breeze. The advantage of travel cribs is their portability. But their lightness also becomes their disadvantage. The light materials, often aluminum or mesh, get damaged quickly. This is a concern for families that travel a lot. You can get a wooden travel crib but note that it will not be as portable or lightweight. Good news is, choosing a good crib is not tough! With a little bit of knowledge, anyone can choose a crib that is both safe and suits their baby’s needs perfectly. So here are the top 10 things to consider while buying a new well built crib. When it comes to choosing a crib, your baby’s statistics are an important consideration. After all, there is no point in getting a crib that is too frail to support your child’s size and weight. A crib that is too high is risky and you will be forever worrying about falls and accidents, whereas a crib that is too small in size will not make your baby comfortable. 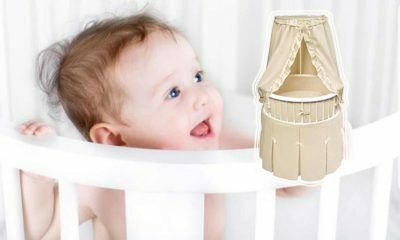 While purchasing a stylish and fancy baby crib can be tempting, there’s nothing more important than your child’s safety. For this reason, do not ditch safety for a fancy, fashion-forward design that lacks vital safety features. In other words, you can go for any design as long as it ensures adequate security. One of the factors you should consider here is the presence of fixed sides, versus drop-sides that are stylish but unsafe. Before 2011, manufactures could add drop down sides to baby cribs. But this was proven to be a safety hazard, causing 32 infant deaths in nine years starting from 2001. In 2011, drop down sides were banned. When you buy a crib, check that this safety measure has been adhered to. Be extra careful with cribs manufactured before 2011.Additionally, the slats ( side bars) must not be more than 2.36 inches apart. Slats around 2 3/8 inches apart will keep the baby from slipping out and getting stuck. For this reason, avoid purchasing cribs with decorative cut-outs in the footboard or headboard. If the new crib arrives with pretty decorations attached, remove them before you place your baby in the crib. This is because a curious infant may get wrapped up in these cutesy add-ons and even end up swallowing the small pieces. Moreover, toys and stuffed animals pose suffocation hazards to the baby. If you do wish to add some color to the crib, invest in pretty bed linen or bed skirts, but do ensure to vacuum under the bed every day, as dust mites can be majorly irritating to the baby. Whether it’s a wooden crib or a hanging crib, the area where you place the crib is very important. Ensure to choose a part of the nursery which has proper ventilation and is well away from any draughts. Additionally, keep the crib away from table tops, mantel pieces, cords and dressers to prevent accidental injury from falling of objects or strangulation. But what if you have a small nursery? If you are short on space, you may want to purchase a portable crib or a mini-crib, both of which tend to take up less space than full-size cribs. Other space-saving options are collapsible cribs for easy storage and cribs with wheels for convenient portability. In order to understand the exact type of crib you need, the first thing you have to do is measure out the area in which you wish to place your new baby crib. By knowing the amount of space available, you can narrow down the types of cribs you can select from. If you have an abundance of space, you’re fortunate enough to be able to choose from any crib you fancy and that falls within your price range. It’s important that the crib you choose has an adjustable mattress height. Most cribs allow you to change the mattress height simply by raising or lowering the support of the mattress. But when is the right time to change the height? Basically, the time when your kid begins sitting up is perfect for lowering the mattress. When children start to become more active and move to standing or pulling up, they run the risk of climbing or falling out of the crib. Therefore, at this point of time you should lower the height setting to prevent any unforeseen accidents. 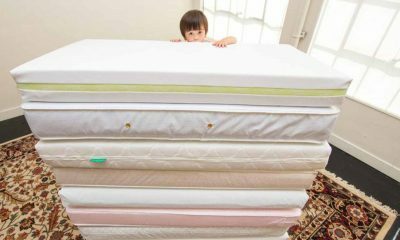 However, in the early days of your baby’s life, it’s makes more sense to raise the mattress height as that will allow you to place your baby to sleep easily. Also, as any new parent will tell you, all that lifting in and out of the crib can take its toll on your back. Your poor muscles will thank you for a bit of extra height! 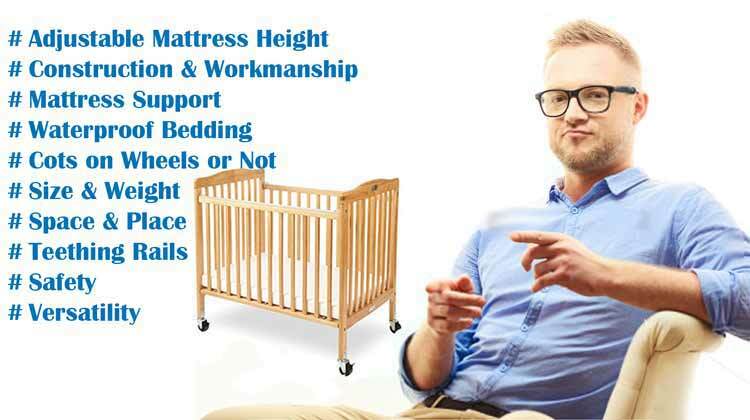 Long story short, a crib with an adjustable mattress height is capable of supporting the practical care of your baby whilst taking care of his safety. Just like toddler prams, baby cribs do come with the option of wheels. Whether you wish for a crib with wheels or not is entirely your choice. While castors do make it relatively easier to move around the cot, they also mean that the bed is less secure than usual. Furthermore, even when the wheels are locked firmly in position, older babies may well be able to stand up on the mattress and move the cot by themselves. So, if you are opting for a crib with castors, make sure they are not flimsy, because you’ll be moving around the crib a lot in order to vacuum, change sheets or grab toys. If you are unsure about needing them, simply leave them off the crib but keep them close by. However, by the time your child is four months old, you’ll probably want to have them secured on the crib. As time passes, your baby will soon begin to experience the joys of teething. When babies start teething, they have an innate tendency to gnaw on the crib’s wooden rails like a little woodchuck. Unfortunately, as cute as it seems, this behavior can lead to a mouthful of paint, splinters and things that you definitely wouldn’t want to see inside your baby’s mouth. Thankfully, many manufactures now incorporate the baby cribs with accessories called teething rails, a covering which acts as an extra protective divider between the crib and your baby’s mouth. The additional advantage is that teething rails are durable and also prolong the life span of your crib. This is a necessity when you plan on having more children in the future and wish to reuse the same crib. Even if cribs with teething rails do not fit in your budget, don’t worry for you can always buy crib rail covers separately at a minimal cost. Would you like your toddler to transition from the crib to a smaller bed before moving on to a bigger bed? Then you probably need to consider a crib that can be converted into a toddler bed. Why is a toddler bed a good option? 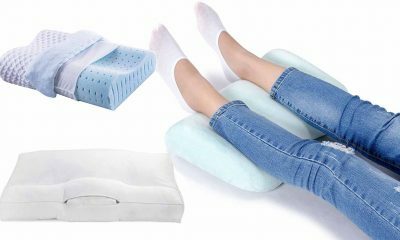 In essence, they are closer to ground level than a single conventional bed, which improves accessibility to your child and makes injuries from falling less likely. In addition, they can still provide the same feeling of security to children like they felt when they slept on the same crib bed they had as a baby. While most cribs come with conversion kits, others have kits that you can buy as and when you need them. Look for a crib that is designed to convert seamlessly into a day bed, a toddler bed, or even a headboard and footboard to simulate the exact look and feel of a full-sized bed. Also, ensure that the crib makeover requires little effort on your part and that the look of the transformed furniture is appealing to the eye. 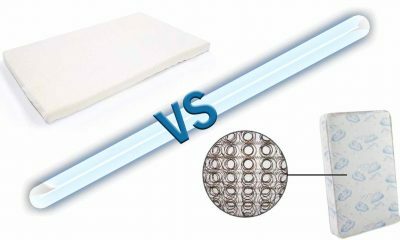 The two common types of mattresses sold for the crib are foam and innerspring. Both of them are available in a thickness varying between 3-6 inches. 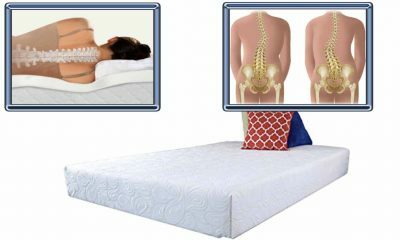 If you are choosing a foam mattress, give more importance to density than thickness. Weight is another indicator of a good mattress. 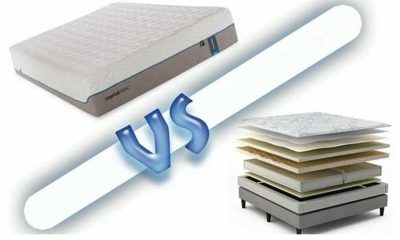 Keep in mind that a heavier mattress will be denser than one of the same size but lighter. Additionally, ensure that the mattress fits tightly inside the crib, as the baby might get caught accidentally in any gaps, which is dangerous. A nice way to check this is by making sure you can get no more than two fingers between the sides and the mattress. Another factor worth noting is whether the crib offers robust mattress support or not. 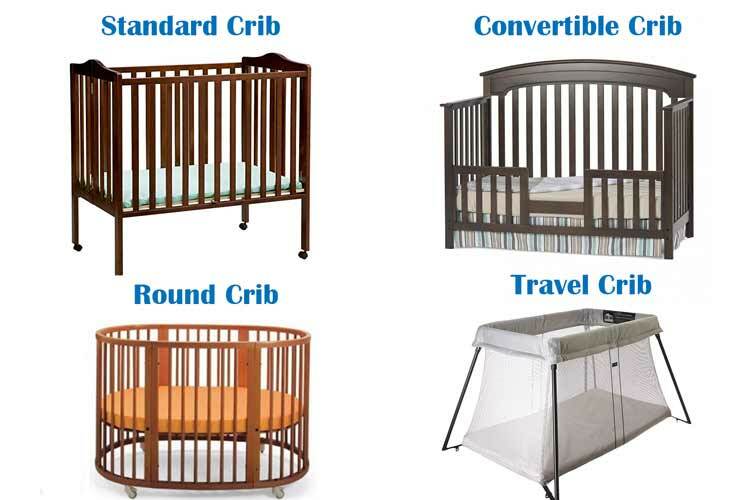 Most cribs feature supports made of metal frames or wooden boards. Whatever be the type of support the crib has, as long as it appears stable and resilient enough to withstand the pressure of a toddler jumping on it, it’s fine. While most cribs are made of wood, other types of materials may be used as well. You can find cribs in dark finishes as well as light ones, such as natural woods, maples, oaks or classic white. A little irregularity in the finish is not a problem as long as there is no discernible defect, such as peeled paint or splintering. When you’re buying the crib from a brick-and-mortar store, do check if the construction is sturdy and tight. 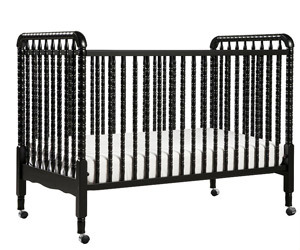 The metal rods fastened to the end boards beneath the crib should be rigid and shouldn’t wobble upon shaking. If the frame makes a rattling noise, you know it’s loose. However, it’s important to note that in-store models on display are not always assembled tightly. Without applying excess pressure, try to rotate every slate to check if it is securely firmly to the railing. You should not be able to find loose spindles or slats on a new crib if they are made of wood. Lastly, check for protruding screws and sharp edges, basically any piece that could get caught up with your baby’s clothing. 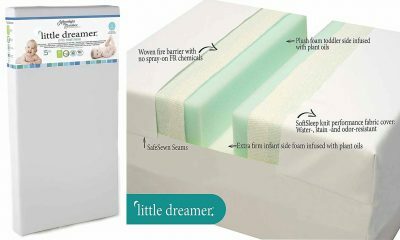 The only bedding your baby really needs is a soft, tightly fitted, waterproof bottom sheet. Flannel, high-count woven cotton and knit cotton are wonderful options for fabric. Just make sure whatever you buy is machine-washable. Also, take care to buy a few extra pieces of each so that you don’t end up doing laundry each and every time your baby spits up. 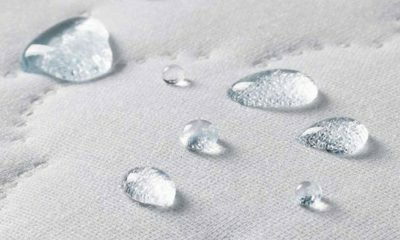 However, it is important to wash the bedding after the first use in order to remove any residual skin-irritants left over from the harsh manufacturing and dyeing process. Following the first use, wash weekly or whenever the baby soils the bedding. Always use a mild and unscented detergent to wash, but unless the baby is overly sensitive, you need not use a specialty baby soap. 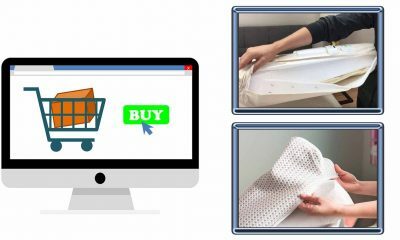 This allows you to streamline the laundry technique and use the same detergent for all your laundry rather than running special cycles for the baby. The last thing you need when consoling your crying infant is to be bending down awkwardly over a crib that is either too high or too low, or takes up excessive space in the room, especially when you have spent a ton of money on it. Needless to say, the right baby crib will reward your baby with a healthy and restful sleep cycle, and you as well, with the mental peace of knowing that your child is safe and comfy. With the knowledge of 10 things to consider while buying a new baby crib, you can now make an informed purchase that stands the test of time and gives you a greater value for your hard-earned money. Usually, a baby crib comes with soft and tactile baby crib bedding. You need to make sure the bedding is well-fitted and snug, as babies can get caught in loose bedding. 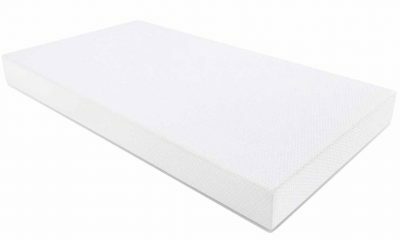 In addition make sure the baby crib has a high quality breathable crib mattress. This ensures a good night’s sleep for your baby and ensures they do not overheat while they sleep, giving great peace of mind. Most companies also use the bedding and crib approved by a National or International agency responsible for setting and maintaining standards for baby products. While buying a baby crib and mattress, you should make sure synthetic materials or fibers have not been used. Although synthetic fibers look good, they may be harsh against your baby’s soft skin. Baby cribs not only make sure your baby has a good night’s sleep, but also keep him protected. Within a crib, your baby will stay confined and secure. Some baby cribs also come with crib tents and safety nets. They can be easily installed on the baby crib to provide some extra protection. 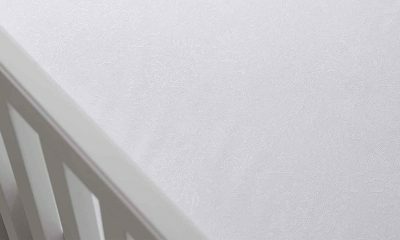 These features can be particularly useful once your tiny baby grows into an adventurous toddler, as it prevents them from falling if they try to climb out. Are Used Baby Cribs Safe? A used baby cribs will save you money. But is it a good idea to lay your baby in a older crib? The short answer is no, there are too many safety risks associated with second-hand cribs. For one, safety standards are always changing as experts uncover new risks. You may therefore end up with a crib that contains parts that are now know to be unsafe. Even worse, you might buy a crib that was once recalled for safety reasons. For example, you might buy a crib whose paint contains high levels of lead, a hazard for your baby. A used crib may also not be as sturdy as a new one. It can injure your baby if it falls apart, especially as the baby grows older and more active. If you are not confident that a crib can handle a baby jumping up and down, do not buy it. If at all you have to buy or borrow a used crib, first check the Consumer Product Safety Commission’s (CPSC) crib recall list. If you can however, just go for a new crib. It will last longer and guarantees safety for your baby. How Can I Tell When My Baby Is Ready For A Regular Bed? When your baby stands more than a few inches taller than the sidebars with the mattress at its lowest position. Also, if your child is climbing out of the crib. How Should I Put My Baby To Sleep In His Crib? Place your baby on his back or side for sleeping. Use one-piece sleepers rather than blankets. Your baby could slip under the blankets and possibly suffocate. Are There Any Hazards In My Baby’s Crib That I Need To Be Aware Of? 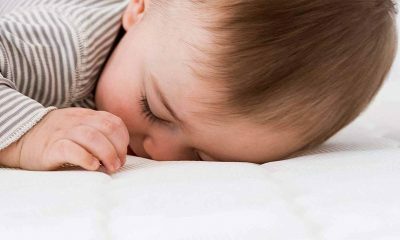 Your mattress should fit in snugly, an all-fitting crib mattress could cause your baby to slip between the mattress and the side bar causing suffocation. You should also be able to adjust the height of the mattress. When the baby is more mobile, the mattress should be placed at the lowest of the crib to prevent the baby from climbing or falling out. The slats should be tight, since loose slats could pinch little fingers. Is A Mesh Sided Crib Safe To Use For My Baby? Yes, a mesh is safe as long as the mesh is less than ¼ inch size, smaller than a tiny button on baby’s clothes. There should be no loose threads, tears or rips. If staples are used to attach the mesh, they should not be exposed and the mesh should be securely attached to the top rail and the floor plate. What Can I Do To Keep My Baby’s Crib Safe? Make sure all connections are secure and that there are no broken or missing parts. Check the teething rail for splits or cracks. Can I Hang A Mobile Over My Baby’s Crib? Mobiles and crib gyms can be used to entertain the baby, but when your child is able to reach them, it is advisable to remove them to avoid your baby getting entangled in them. A final piece of advice; plan. Before you start looking around for a crib, plan a few things in advance. Have a budget ready. Measure out the space where the crib will go to ensure that you buy the right size of crib. It is also important to check out guides such as this to find out the many styles and types of baby cribs. We hope our top 10 list of the best baby cribs will help you to find the safe and durable cribs for your precious new addition.